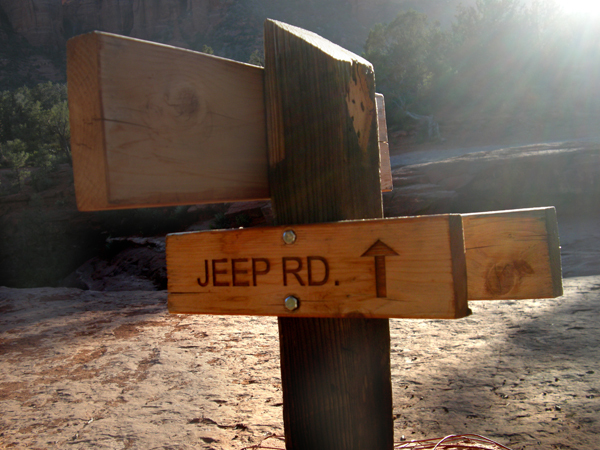 This short but diverse Jeep trail starts in an urban setting before leading into Red Rock Secret Mountain Wilderness. Though often busy, it is a fun drive with some cool spots to stop and explore further on foot. As soon as you’ve entered, the trail dips to cross a wash then climbs out to the Devils Kitchen sinkhole (which is just off the trail to the right). Then about 1/4 mile further are the “Seven Sacred Pools.” At the end of the Jeep road you can continue on foot for a hike with a couple of options: The right branch leads up rather steeply for 1/4 mile to an arch with great views. The left branch is the main trail, where views open up as the trail becomes increasingly steep and rocky along the climb to the pass. 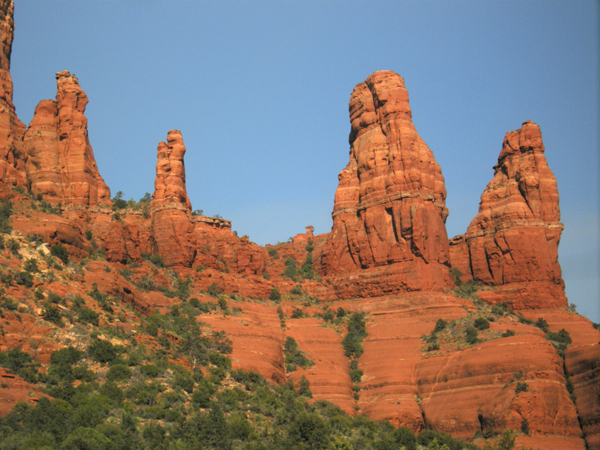 One of the most beautiful places in the southwest, Sedona AZ is a popular destination for outdoor enthusiasts. It’s red rock majesty is a playground for hiking, jeeping, and just exploring. In 2012 I ended up here by “accident” — I was simply searching for a place to rent a trail capable Jeep for another project. But this magical landscape drew me in. For more information on Sedona check out the official “Visit Sedona” site. 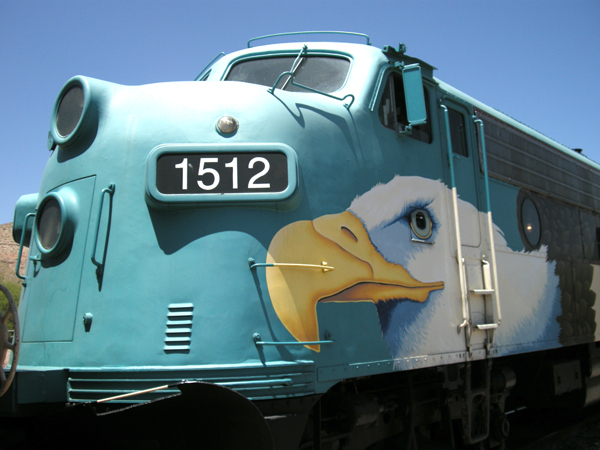 The Verde Canyon Railroad takes us on a journey through a national wilderness area featuring rugged, high-desert rock faces and spectacular vistas. The train passes towering, crimson pinnacles; near ancient Indian ruins; over fortified trestles; past a monocline fault and through a manmade, 680-foot tunnel on a four-hour rail journey from the old mining town of Clarkdale to the Perkinsville ghost ranch and back. This historic route – between two national forests and adjacent to a national wilderness area – follows the upper Verde River, a lush riparian habitat blessed with astonishing beauty. Expert narration and open-air car attendants leave you with an appreciation of the history, archaeology, geology, wildlife and Indian lore of the Verde Canyon. There is some terrain that even a Jeep can’t access. For that horseback is the authentic way to go out here. 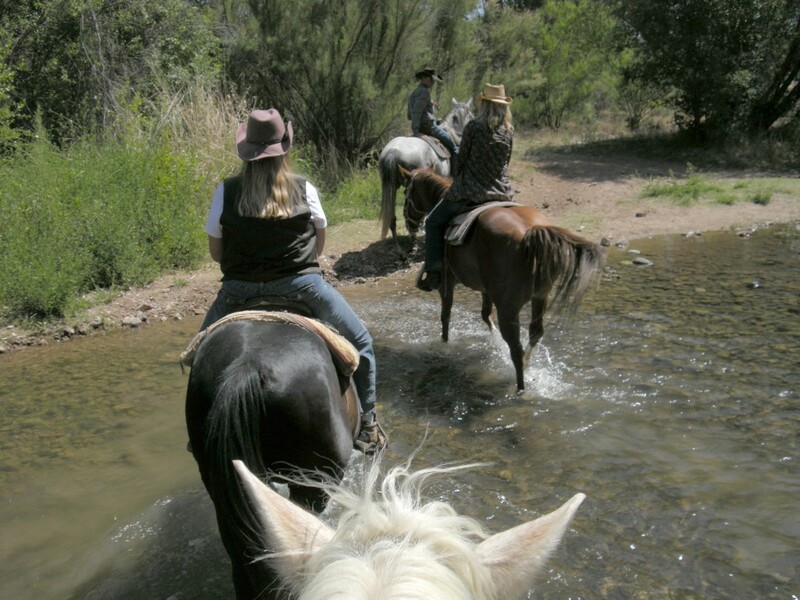 A relaxing ride along the river’s edge and through the thick brush in this beautiful backcountry is made more fun with the cowboy humor of local guides, who tell a bit of history and a few tall tales as well! A little silly but a lot of fun if you let yourself play along, The Blazin M’ Ranch is theatrical event with a nice BBQ dinner. 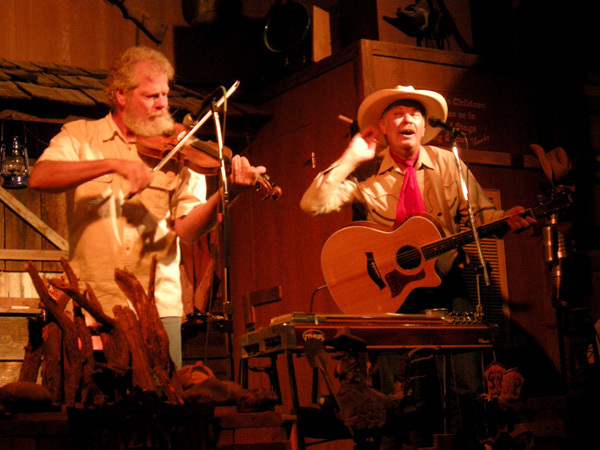 If you get there early you can play cowboy and “learn” roping, shooting, or just have a few drinks at a “Western saloon.” Dinner is chicken and ribs and all the trimmings, followed by the Blazin’ M Cowboys entertain ya’ with their award-winning musical talents mixed with cowboy poetry and humor. Otis, named Cornville’s most eligible bachelor since 1986, says this year may be the one when he finally gets hitched. Be wary of the Ranch’s most infamous occupant, the Ghost Rider, lest he steal you away forever to ride the devil’s herd across the endless skies. Vineyards are not exactly the first thing that comes to mind when thinking about the Arizona desert, but there are a few winemakers that are making a name for themselves here. The largest is Alcantara, located on the Verde River. 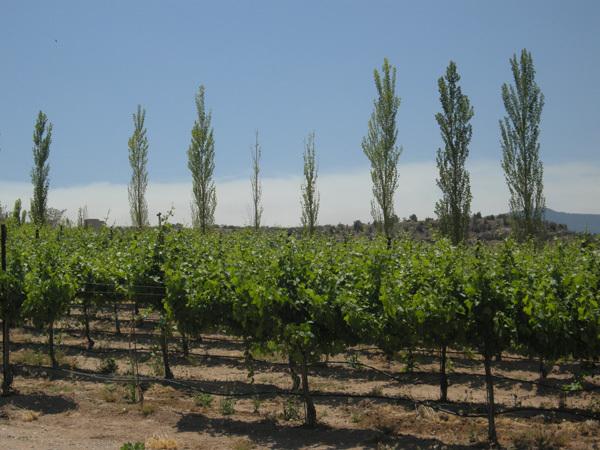 Perched on 87 acres of sloping terrain at the confluence off the Verde River and Oak Creek, the 20 acres currently planted contain 19,000 vines and offer 12 different varietal’s. Visitors to the winery can taste of an outstanding selection of wines comparable to the best of California and Europe. 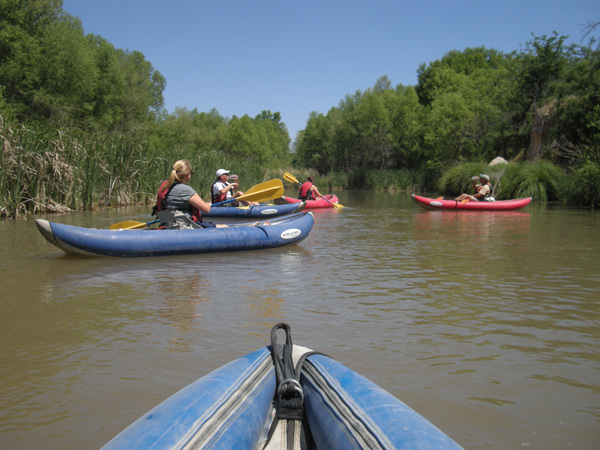 A fun float down the Verde River via “ducky” (an inflatable kayak) is a great way to spend an afternoon. The Verde River is an incredible wilderness of spectacular canyons, verdant forests, brightly colored wildflowers and a multitude of wildlife including mule deer, beaver, river otter, great blue herons, red tail hawks and golden and bald eagles. Interspersed with exhilarating chutes and calm floating pools, this river offers a “mild” adventure, but is still a very enjoyable trip! And what could be more fun than a river trip in the middle of a desert!